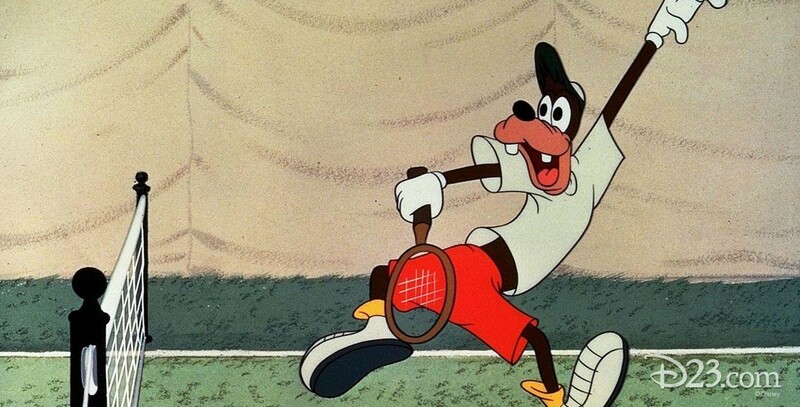 Tennis Racquet (film) Goofy cartoon; released on August 26, 1949. Directed by Jack Kinney. Goofy’s game of tennis confounds the sports announcer and the crowd, but one player does indeed win the gigantic trophy.